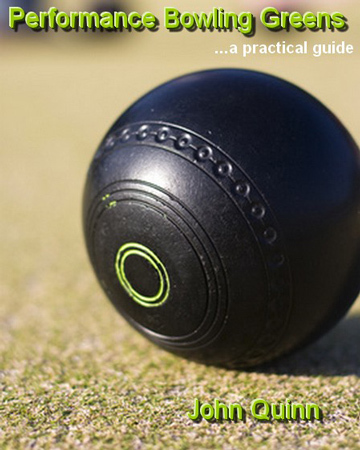 Availability Performance Bowling Greens...a Practical Guide is an ebook and further information and details of how to order may be obtained from bowls-central.co.uk. Details of membership, first month free, to John's Bowls Club Mastermind Network entitling members to 50% discount on this and other publications can be found here. Synopsis John Quinn is one of only 55 Master Greenkeepers worldwide and has three decades of experience in greenkeeping and fine turf management. He offers a personal consulting service to bowling clubs that want to implement a Performance Bowling Green programmme or Bowling Club Turnaround project. His new publication Performance Bowling Greens...a practical guide takes you through a simple, step by step blueprint to achieve high performance from your green at a sensible cost. In so doing, John explains what's actually going on under the surface so that you can easily measure progress at each step of the way, and exposes the expensive greenkeeping 'traditions' that run away with cash and actually harm your green. Notably, he shows you how the majority of problems experienced on bowling greens are related very closely to just one common maintenance mistake that nearly every bowls club is making right now, and leaves you with a comprehensive plan for your future maintenance that will not only result in a high performance green, but will actually save the majority of UK clubs money on their maintenance bills.